Teen accused of killing his parents to stand trial as an adult, Natasha Barrett reports. 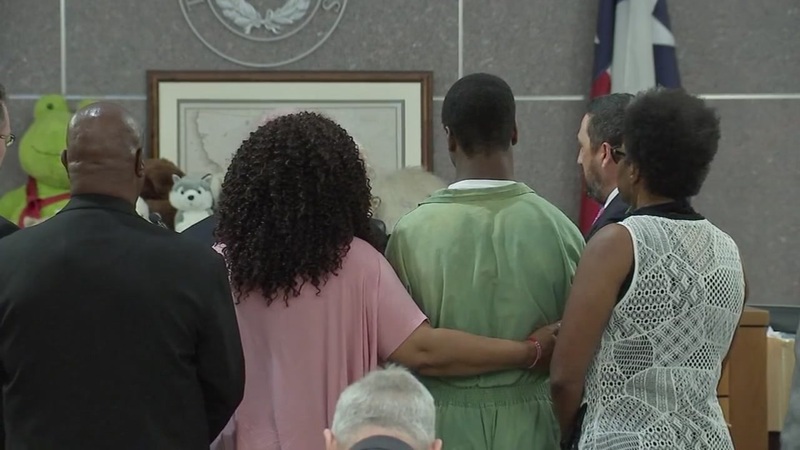 HOUSTON, Texas (KTRK) -- A judge has ruled the 17-year-old accused of fatally shooting both of his parents will be tried as an adult. The testimony in this hearing has been disturbing. The prosecution began the hearing with a display of photos of Dawn and Antonio Armstrong when they were alive. Their son, A. J. Armstrong, began to cry at the sight of his parents, the first time he has been openly emotional in court. Next, harrowing evidence video took viewers back to the scene of the crime. A camera weaved through rooms of the Armstrong household, stopping to focus on blood smears, a black pistol on the kitchen counter, a note reading "I HAVE BEEN WATCHING YOU FOR SOME TIME," a bullet hole in the ceiling of the Armstrongs' home office and stray shell casings. The camera then entered the couples' bedroom, where Dawn's lifeless body lay on a blood-stained bed. Prosecutors also brought up a 911 call made by the teen. According to detectives, the 17-year-old said he heard gunshots from his parents' room while he hid in his closet. He added that only he, his parents and his sister were in the home. He stayed on the phone until officers arrived on the scene less than 10 minutes later. The young man is then heard on the call turning off the home security system, unlocking the front door and allowing officers in. Inside the home, officers found Antonio Armstrong and his wife Dawn shot to death. Their youngest son was arrested that same day. Since the judge has decided that Armstrong should be tried as an adult, if he is later found guilty of murder, he could face life in prison with the possibility of parole after 40 years. Family and friends are mourning the loss of Antonio and Dawn Armstrong. New interview with a local coach who knew Antonio and Dawn Armstrong.